Mumbai, April 3: Cricketer S. Sreesanth, who has had a tryst with showbiz too, says he has been approached to participate in dance reality TV show "Nach Baliye" with his wife, but he is yet to give a nod as he is awaiting the Board of Control for Cricket in India's (BCCI) decision on his punishment. "Yes, the makers have approached me but I am still thinking about it. I have not decided yet as I am waiting for BCCI's decision," Sreesanth told IANS. Last month, the Supreme Court lifted the lifetime ban imposed on Sreesanth by BCCI for his alleged involvement in match fixing during 2013 Indian Premier League (IPL), and asked the BCCI to reconsider his punishment. 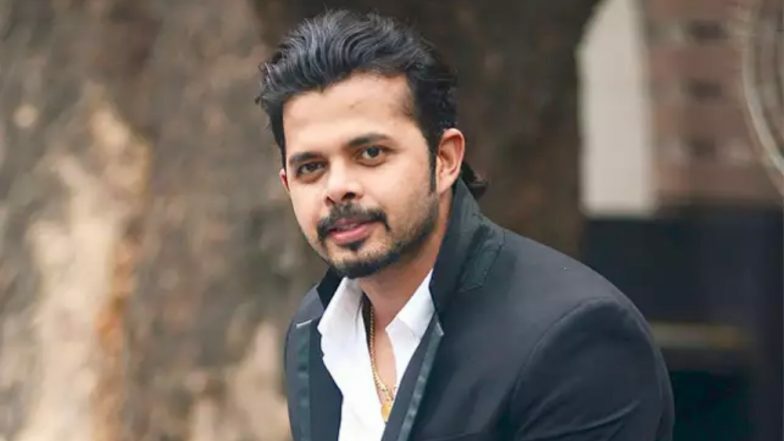 Sreesanth, who has earlier featured in shows like Bigg Boss, Jhalak Dikhhla Jaa and Khatron Ke Khiladi, is eagerly waiting for BCCI's decision as he cannot wait to get back on the field. "The BCCI order can come anytime and the 'Nach Baliye' show continues for almost 3-4 months. So, it is difficult for me to give any commitment to anybody right now," he added. Sreesanth Dismisses Reports of Switching to Congress after Meeting Shashi Tharoor, says, 'I am BJP karyakartha and proud of it'. Sreesanth was arrested by Delhi Police along with Ajit Chandila and Ankeet Chavan on charges of spot-fixing during the 2013 edition of the Indian Premier League (IPL). In a relief for the pace bowler, the apex court set aside the life ban imposed on him with a bench headed by Justice Ashok Bhushan asking the BCCI to consider the quantum of punishment on Sreesanth. As far as Nach Baliye is concerned, grapevine suggests that star couples like Drashti Dhami and Neeraj Khemka, Anita Hassanandani and Rohit Reddy, Prince Narula and Yuvika Chaudhary, will be taking part in the new season of the StarPlus show. There is also buzz that actor and dancing sensation Tiger Shroff may be one of the judges on the show.